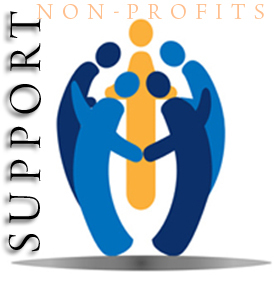 Non profit organizations are really important for every community. Typically we find they are short of money and staff most of the time. That is why we have chosen to donate our cover charge to one non profit organization per event. The non profit doesn't have to do anything. It's nice if they invite their own followers. Part of the experience is learning a bit more about the non profit chosen. They can set up a table with information about their organization. We try and pair the non profit organization with the event based on the theme.